PPM is an exclusive supplier and manufacturer of replacement parts for its QUAD product line. All of our factory rebuild systems are cover by a parts & labor warranty. Extended warranty, 24 hour response time, is available through Tyco Electronics. All of PPM factory rebuilt machines are supported & serviced by Tyco Electronics. 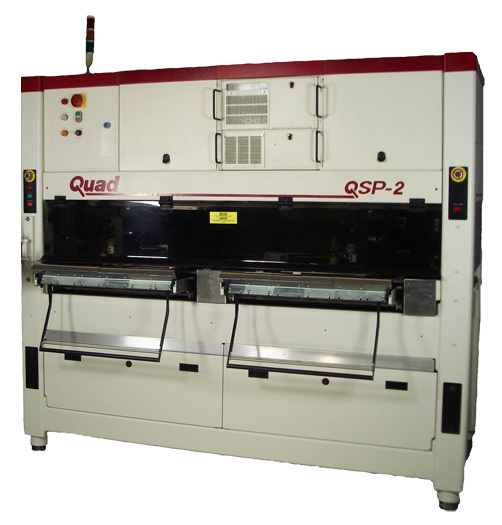 PPM is an exclusive supplier and manufacturer of the QUAD product line. We offer factory rebuild & certified systems that will provide many years of trouble free service.